I haven’t written in over a month. After 3 months of being inspired by God to write two or three posts a week, in the middle of April, God went silent. I tried to draw inspiration to write on my own, but I have nothing. Without God, I have nothing. I’m not saying that God has left me. God is still here with me. I feel HIS presence and I know that He will not stay silent forever. This is a time of reflection and learning. I was able to drive to Georgia to spend a few days with my daughter, Kiowa, who has been in Georgia since the beginning of April. Talon, Ty and I drove down to see her and spend Mother’s Day with her. Kiowa lives out in the boonies. Seriously, her town is a few houses that share a zip code and nothing more! She has no internet and no cell phone connection for those of us with companies that aren’t Verizon. Kiowa has service most of the time, but the boys and I did not. Internet services do not provide services to her area, she will blow through the gigs with a hot spot, so she will more than likely have to get satellite. Talon was going crazy without his phone and camped out at the only hot spot in the house. I still had my phone glued to my hip, even though it was a useless accessory at that point. About 3 days in, I realized that God was trying to teach me something here. There is peace in being unplugged. 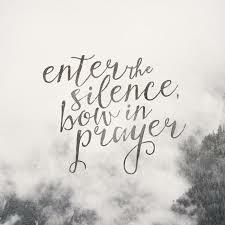 When I finally give up on trying to find a “connection,” let go of the constant need to watch something or be on my lap top, I will hear God again. I will again find the most important “connection” that I don’t ever want to lose. So, back to the land of cell phones, lap tops, and Facebook, I am shutting it all off and spending time with God. It won’t be easy. Why is it so hard to make time for the ONE that I love with all of my heart? Why do I let all of these things get in the way of my relationship with HIM? God has given me a ministry of prayer. I have seen some things at the world level start to happen in answer to my prayers. I am in awe that God gives us the privilege to partner with Him in His ministry and will. I cannot pray efficiently when I let technology and the busyness of life take priority over what God wants me to do. I need to unplug on a daily basis and put God’s ministry first. I have finally found my God given ministry. I now need to make it a priority. God’s silence doesn’t mean that He has left us. Sometimes, it simply means that we have something to learn.